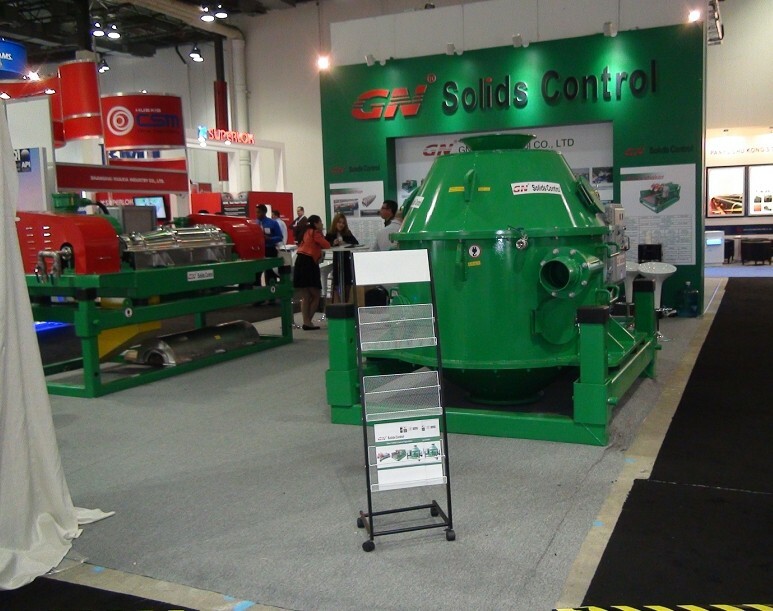 GN Solids Ameirca, with facility and headquarter in Beijing-GN solids control, will attend Canada oil show Global Petroleum Show 2015 in Calgary, AB. This is the first time for us to attend this oil products show, but we are not newer here in Canada market. Equipment for sale: GNLW553-VFD decanter centrifuge, 22inch bowl, 500gpm treating capacity, electric motor and VFD control panel comply with CSA. It can be used for both water based drilling cuttings and oil based drilling mud, also it can treat the cuttings from both onshore and offshore,the unique design lead us as one of the top vertical cuttings dryer and decanter centrifuges manufacture in China. CIPPE 2015 dated on March 26~28th in Beijing, China, the equipments for show including: solids control equipments, drilling waste management system, decanter centrifuge, vertical cuttings dryer, mud recycling system, etc. As the reliable support for the whole America market, GN solids America has essential spare parts in stock to provide assured after sales service to our clients. We have experienced engineer team there for trouble shooting. Our professional sales are available to accept you to visit our warehouse stocked items.